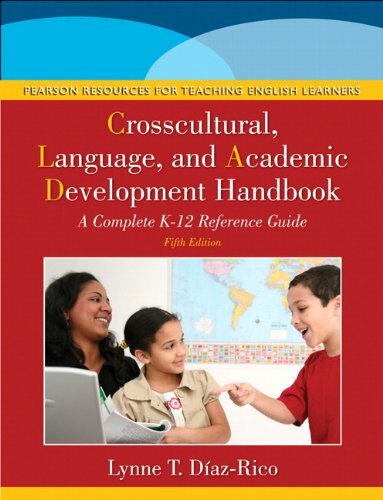 An up-to-date edition of a bestseller, The Crosscultural, Language, and Academic Development Handbook, 5/e guides educators in promoting academic success for the culturally and linguistically diverse learners in today’s classrooms. Designed specifically for mainstream classroom teachers, the book shows clearly how second-language acquisition affects learning, and presents an excellent treatment of cultural diversity and learning styles. Included is coverage of new applications for mobile learning; the Common Core Standards; Response to Intervention; English learners with autism; educating undocumented immigrants; involving family and the community to increase academic success; adapting for English learners with special needs; and more.